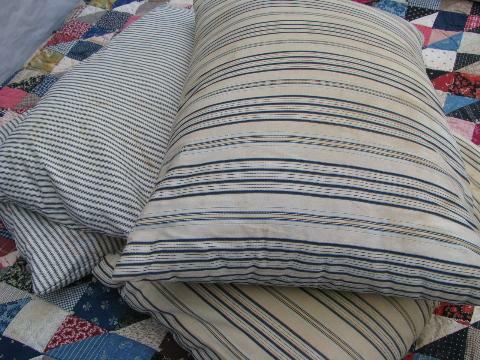 Here's a lot of four old pillows with heavy vintage striped cotton ticking. These measure about 20" to 26" long, 16" to 22" wide. 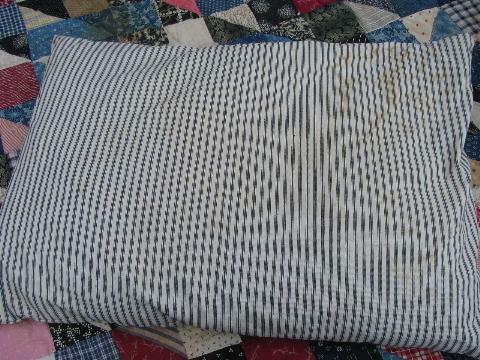 These are all showing their age, and all have spots and some brown discoloration. They have no smoke odors at all. 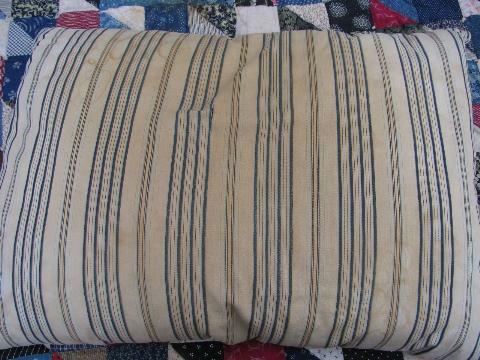 These were used in summer cabins at the Wisconsin Dells for many years, and came out of the closing of a small campground. 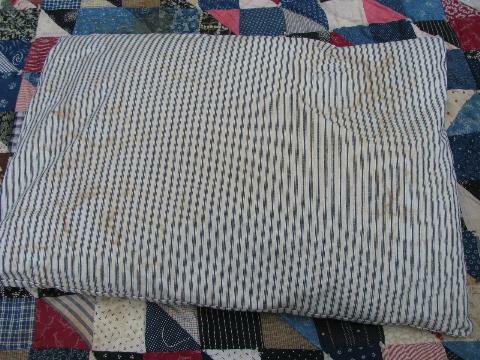 We have more feather pillows, all from this same estate... we've never had so many pillows at once before! 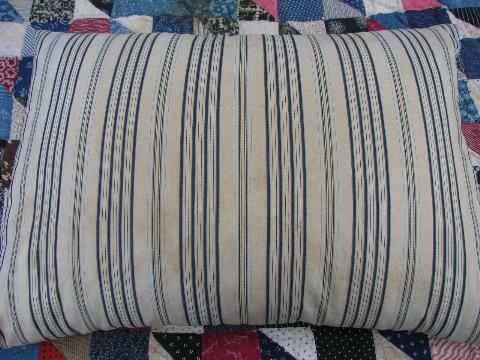 Don't miss this chance to stock up, these nice old pillows are getting hard to find.